The Idaho Wheat Commission (IWC) is a not-for-profit, quasi-state agency established in 1959 by the Idaho Grain Growers Association. The IWC was created to help maximize profitability for Idaho wheat producers by investing funds in market development, research, and information and education. The Wheat Marketing Center receives funding annually from the IWC. The IWC collects a tax, or check-off, on every bushel of wheat sold in the state. Those dollars are reinvested in a variety of programs which include: research projects which help develop wheat varieties with increased yields and disease packages; overseas markets; and educational workshops and seminars. The IWC works to maintain a healthy and vibrant wheat industry to ensure the broad demand for Idaho wheat both domestically and internationally. Idaho is one of the few places in the world where buyers can find several different classes of wheat in one place, including soft white, hard white, hard red winter and durum wheat. Wheat class is determined by kernel hardness and color, and by its planting time. Each class of wheat has its own characteristics related to agronomic needs, milling and end product use. Wheat production plays an important role in Idaho’s economy, where wheat is grown in 42 of 44 counties. The value of Idaho’s annual wheat production is close to $500 million. The Oregon Wheat Commission was formed in 1947 by the Oregon State Legislature at the request of Oregon wheat growers to help market large supplies of wheat after World War II. Many things have changed over the years, improved wheat varieties, better farming practices, more efficient transportation, handling, and milling systems, and improvements in technology and end products. However, one thing that has not changed is our growers’ commitment to provide our customers with a reliable, sustainable, consistent, and high quality product that meets their needs. Oregon produces between 50-60 million bushels of wheat per year, 90% of which is soft white wheat. Wheat is grown on about one third of the state’s cropland and is the third largest crop measured by acreage. Most Oregon wheat is grown in a summer fallow rotation which means a crop is produced every other year in order to accumulate sufficient moisture to produce a good crop. About 85% of Oregon’s wheat production is exported, mostly through the Port of Portland and the other ports on the lower Columbia River. The Washington Grain Commission (WGC) was created in 2009 with the merger of the Washington Wheat Commission and the Washington Barley Commission. The Washington Wheat Commission was established by farmers in 1958 to help guide research, marketing and educational priorities for the industry. Funding for the WGC comes from farmers paying an assessment of three quarters of 1 percent of the net selling price on each bushel of wheat and 1 percent for each bushel of barley. 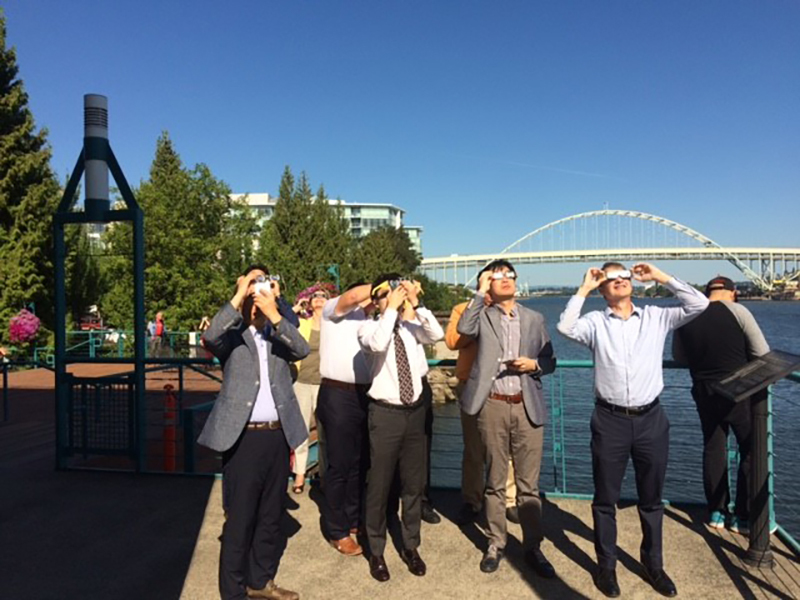 The organization is made up of seven farmers, two industry members and a representative from the Washington State Department of Agriculture. Research funding, including breeding new wheat varieties and addressing pest and disease issues, takes the greatest part of commission funding, but marketing wheat to overseas customers in the Pacific Rim and Latin America, is equally important. The WGC funds the educational program, Wheat Week, which uses the lens of wheat to teach 4th and 5th graders throughout Washington about the state’s natural resources. About 2.2 million acres of land in Washington is devoted to wheat production every year. Thanks to the region’s consistent climate and rich soils, Washington annually ranks either fourth or fifth among U.S. states that produce wheat and usually has one of the highest per acre yields. 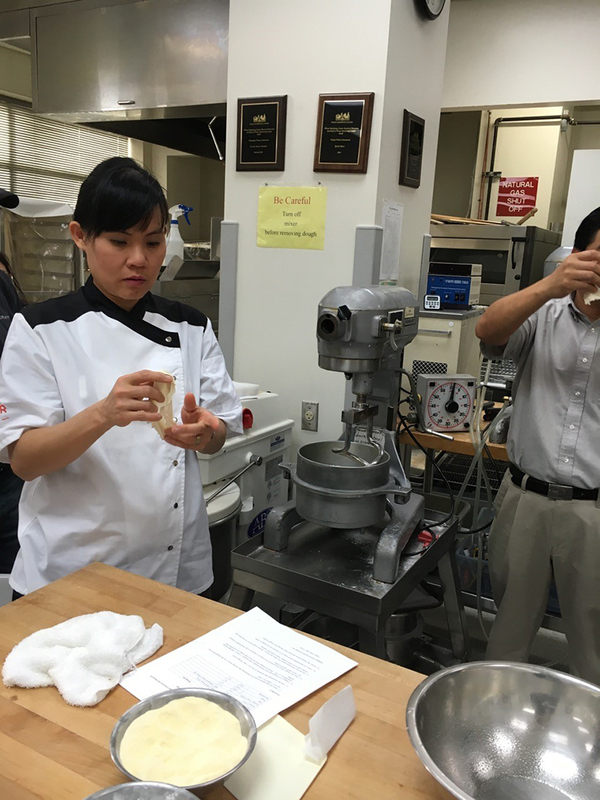 About 80 percent of Washington’s production is in soft white wheat which makes a low protein flour used in cakes, cookies (biscuits), sponge cakes, steam breads, flat breads, tortillas and other products. The other 20 percent of production is in the “hard” or bread types wheats, including hard red spring and hard red winter. The state is also the world’s largest producer of club wheat, a subclass of soft white with weak gluten functionality that is considered particularly useful in blends to produce fine crumb products like sponge cake. Research has shown that soft white has a particular advantage over other wheat classes by its ability to blend with them to create a superior product at what is often a lower cost. Washington farmers plant more certified seed (over 90 percent) than any other state in the nation and every wheat variety is evaluated for quality. 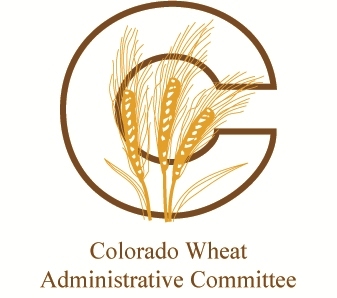 The Colorado Wheat Administrative Committee (CWAC) is a producer-elected board that administers the Colorado Wheat Marketing Order, which was approved by a referendum of Colorado wheat producers in 1958. CWAC’s goal is to help Colorado wheat producers develop, maintain, and increase domestic and export sales while supporting education, research, and promotional programs designed to increase the consumption and utilization of Colorado wheat. This organization is funded by a producer-approved assessment of two cents per bushel. During the 2016 season, Colorado wheat producers harvested 97.52 million bushels of wheat, from 2.12 million acres across the eastern plains. “Prairie Gold” is a term frequently given to the state’s only major food grain crop. Wheat is produced in all regions of the state and is grown in more than 40 of the 64 counties. Hard winter wheat (red and white) are the dominant classes, accounting for more than 95 percent of the total. More than 80 percent of Colorado’s wheat production is typically exported and is generally one of Colorado’s top ranked exports by dollar value. There are three significant organizations representing Colorado wheat producers: the Colorado Association of Wheat Growers (CAWG); the Colorado Wheat Administrative Committee (CWAC); and the Colorado Wheat Research Foundation (CWRF). In 1967, the legislature responded to state wheat farmers’ request for the self-help market development program by establishing the Montana Wheat Committee, an organization which served as the prototype for other state checkoff groups. The Committee is producer-funded and producer-run; operating expenses are provided by a refundable assessment on wheat and barley grown and sold in Montana. Use of these funds are determined by a seven-director board, appointed by the governor. Directors must be actively involved in farming, and in addition to serving on the MWBC board, they serve as representatives in many of the programs the assessment directly funds. In addition to the seven voting, farmer-directors, there are three non-voting members: the Director of the State Department of Agriculture, the College of Agriculture Dean at Montana State University, and a representative of the Montana grain trade. The Committee is attached to the Montana Department of Agriculture for administrative purposes. A refundable barley check-off was added in 1973 and, eventually, the original name, the Montana Wheat Research and Marketing Committee, was changed to the Montana Wheat and Barley Committee (MWBC), reflecting this additional commodity responsibility. The program has evolved over the years, but the goal of benefiting Montana wheat and barley producers remains constant. Research funding and the scope of projects, including variety breeding, work on disease resistance, winter hardiness, fertilizer use, storage conditions, insects, and tillage practices has expanded considerably. As always, the MWBC serves as a communication channel between producers and the research community. Marketing efforts have also been enhanced. 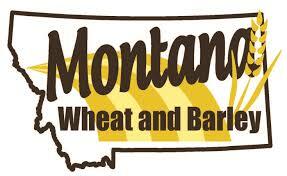 Montana wheat and barley is directly represented in foreign markets through organizations such as U.S. Wheat Associates, U.S. Grains Council, Northern Crops Institute, and the Wheat Marketing Center. Buyers come to Montana each year to learn about the quality of our crop, and this marketing system provides the Montana producers with a direct and constant presence to markets overseas. Domestic marketing efforts have grown to include representation on the National Barley and Wheat Foods Councils, with the intent to increase consumption of both commodities here at home. The Nebraska Wheat Board (NWB) was formed in 1955 after the Nebraska Wheat Resources Act was passed. 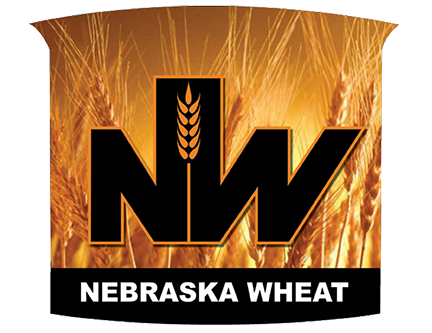 All NWB policies are established by a seven-member board of directors composed of wheat producers from throughout the state who are appointed by the Governor. NWB’s mission is to increase both domestic and foreign consumption of wheat and wheat food products through marketing and research, as well as to help develop and maintain both domestic and export markets for the Nebraska wheat producer. NWB accomplishes this by investing the wheat check-off in the areas of research, international and domestic marketing, policy development, and publicity and education. Nebraska is home to more than 5,000 wheat farms. Most of these produce Hard Red Winter and Hard White wheat. Geography, weather and soil vary greatly across the state. The dryland soils in the southwest and western regions of the state are prime grounds for the average 70 million bushels of wheat raised annually. Nebraska’s location in the center of the United States and its access to both Union Pacific and BNSF railroads allows transportation of grain to any of the nation’s ports. As a result, half of the Nebraska’s wheat crop is exported annually. Hard red winter wheat accounts for the majority of Nebraska’s wheat production. Different varieties can be raised throughout the state. It is very versatile with excellent milling characteristics. HRW is commonly used in loaf breads and yeast-raised flour foods. HRW wheat is also good for use in Asian noodles and flat breads. Nebraska also produces hard white wheat. The North Dakota Wheat Commission works to market and promote North Dakota wheat, both domestically and internationally, invests in wheat research, and ensures wheat producers have an effective voice on domestic and trade policy issues. Programs and activities of the North Dakota Wheat Commission are totally funded through a per bushel checkoff on producer wheat sales, currently at a penny and a half. International marketing efforts are in collaboration with U.S. Wheat Associates, the Northern Crops Institute, the Wheat Marketing Center, and North Dakota State University. 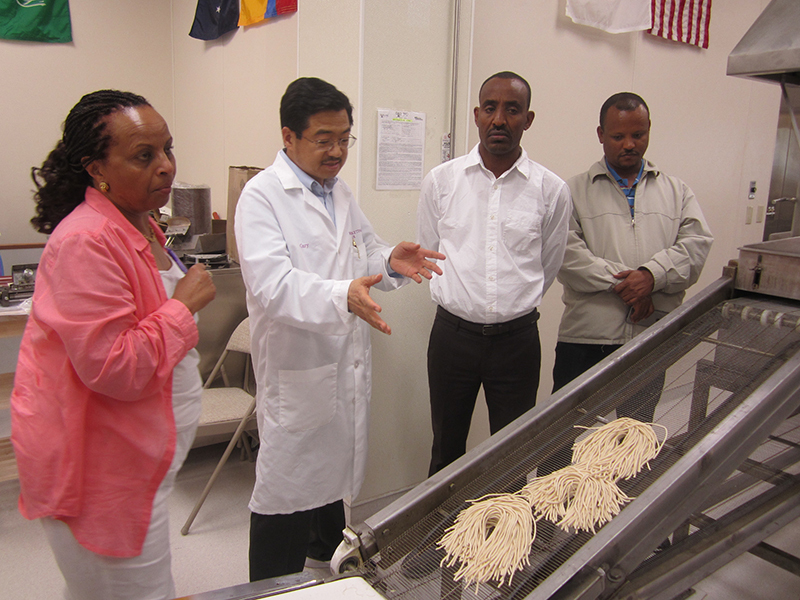 Domestic marketing efforts are in collaboration with the National Pasta Association and the Wheat Foods Council. Research efforts are primarily in cooperation with North Dakota State University with emphasis on variety development, end-use quality enhancement and addressing critical agronomic issues in wheat, as well as transportation and economics. Policy efforts are in collaboration with the North Dakota Grain Growers Association, the U.S. Durum Growers Association, the National Association of Wheat Growers and U.S. Wheat Associates. The North Dakota Wheat Commission is directed through a grassroots approach. Producers representatives are elected from each county in the state, and from this group, six Commissioners are selected to serve on the Board, based on Districts. The governor appoints a seventh commissioner from a list of nominees submitted by major farm and grower organizations. These seven producers that make up the Board, develop policy and programs, oversee their implementation and approve budget expenditures. Commissioners can serve no more than three four-year terms. Four employees administer programs and activities. The wheat industry in North Dakota consists of approximately 20,000 wheat producers growing 300 million bushels of wheat annually. This typically ranks our state as the second leading producer of wheat nationally, but some years we have been the top state. Total wheat acres in the state have averaged 7.5 million in recent years, or roughly 1/3rd of total crop acres in the state. Average wheat yields are in the 35 to 40 bushel per acre range. It is all dryland production with the yields increasing from west to east across the state based on average annual rainfall and soil types. Main crops that compete for planted acres in the state are soybeans, corn, canola, peas, barley and other minor crops. North Dakota is best known for its high quality production of two main classes of wheat, hard red spring and durum. We are the top producer in the nation of both classes, accounting for one-half of the hard red spring wheat, and roughly 60 percent of the durum. The high protein content and inherent functional quality of our hard red spring wheat makes it ideally suited for specialty breads; for blending with, and improving protein content and quality in many baked products; frozen and refrigerated dough products; and Asian noodles. Our durum is valued for its protein content, the bright, yellow semolina it produces and gluten qualities. Top markets for hard red spring wheat from North Dakota include U.S. domestic mills, the Philippines, Japan, Taiwan, South Korea, Italy and many smaller countries in the Caribbean and Central America. Durum is primarily marketed to U.S. domestic mills, Italy, Algeria, Nigeria and Venezuela. North Dakota has 4 wheat mills within the state. Wheat is the primary crop in the Great Plains including Oklahoma. In 1965, the Oklahoma Wheat Resources Act established the Oklahoma Wheat Commission, and with it a framework for Oklahoma wheat producers to invest in the promotion of their product, Hard Red Winter wheat. The Oklahoma Wheat Commission is entirely producer-controlled. Oklahoma wheat producers elect their fellow producers to serve as commissioners in district elections. Each district has an opportunity to elect a commissioner every 5 years. Five Oklahoma wheat producers make up the board of commissioners. The Oklahoma Wheat Commission promotes greater utilization of wheat in domestic and international markets through research, market development and public education. The Oklahoma Wheat Commission is committed to ensuring the competitiveness of Oklahoma wheat in national and international markets. The Commission invests producer contributions in market development through the Wheat Marketing Center, Wheat Foods Council and U.S. Wheat Associates. The Commission also funds the wheat breeding program at Oklahoma State University, led by Dr. Brett Carver. Dr. Carver regularly releases high quality varieties appropriate for use in bread, tortillas and pasta.